Do you have a room in your house that needs robot wallpaper? What about giant squid? Is your dining room incomplete without a greyhound toile? Spoonflower, the website that lets crafters and do-it-yourself decorators design their own fabric, today launches design-your-own wallpaper and wall decals. Not a designer yourself? Choose from thousands of designs by independent artists who have made their work available first on fabric, and now as wallpaper. 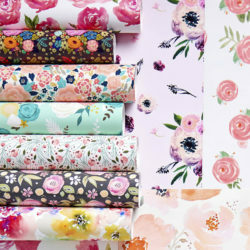 With an eye toward environmentally conscious consumers and moms looking to decorate nurseries and kids' rooms, Spoonflower wallpaper is printed on PVC-free paper using durable, eco-friendly inks. Custom wallpaper, which has long been the exclusive province of high-end home décor, has never been this accessible. 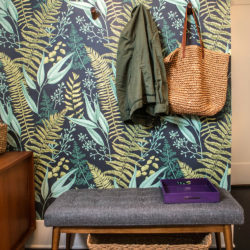 Spoonflower – the first company to price custom textile printing at a level affordable for home crafters – is taking the same revolutionary approach to wallpaper, which will sell for $5 per linear foot (24" by 12"), or $60 per roll (24" x 12'). Unlike traditional wallpapers that can be devilish to take down, Spoonflower wallpaper is removable, which makes it perfect for renters and college students. 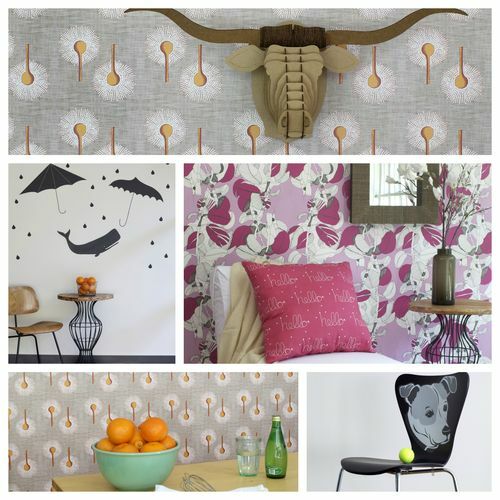 Spoonflower's wall decal product is also a dream come true for creative decorators. 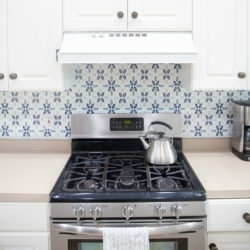 The company is launching three tile-shaped sizes of peel-and-stick wall decals – 5" x 5", 15" x 15", and 30" x 30" – that can be easily removed and repositioned. These decals are printed using eco-friendly inks on a tough polyester material that's perfect for any room in the house, as well as for decorating furniture, trays, refrigerators, laptops, and many other everyday items. Spoonflower co-founder Stephen Fraser says digitally printed wallpaper is a rapidly growing trend. "Wallpaper is definitely on an upswing in the decorating world, especially in the US, where it used to be perceived as fussy and old-fashioned. We're incredibly excited to introduce custom wallpaper and decals at prices that make them accessible to everyday people, using materials that will appeal to folks who rent as well as homeowners." Fraser adds that he is hoping to persuade his wife to let him cover one of the bathrooms in their house with narwhals in the near future. Wall Street Journal contributing editor and interior design icon Charlotte Moss says, "For personalization, customization, and immediate gratification, Spoonflower puts another world of decorating possibilities at your feet." Lori Craffey of Little Rhody Design Company, a crafter from Rhode Island who sells on Etsy, was impressed by Spoonflower's new products: "I just received my first wallpaper samples today! I love the quality and the packaging." Craffey is one of thousands of indie artists on Spoonflower planning to make their designs available for sale to consumers as wallpaper. About Spoonflower: Before launching custom wallpaper and wall decals, Spoonflower was the first company to make it possible for individuals to create, print and sell their own fabric designs. Founded in May 2008 by two Internet geeks who had crafty wives but knew nothing about textiles, Spoonflower's community now numbers over 600,000 individuals who use their own fabric to make curtains, quilts, clothes, bags, furniture, dolls, pillows, framed artwork, costumes, banners and more. Spoonflower's marketplace offers the largest collection of independent fabric designers in the world. The site has been mentioned in the New York Times, Associated Press, the Wall Street Journal, Better Homes & Gardens, Vogue, Martha Stewart Weddings, CRAFT, ApartmentTherapy, and many other terrific publications and blogs. For more information, please visit the Spoonflower Wallpaper Welcome Page. This is so amazing!! Thank you very much!! I can’t wait to try this out. Hurrah! Now all I want to know is how I can invest in your company because I think you’ve got a terrific business model. OMG! 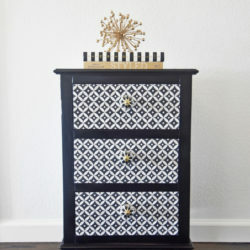 — I was just thinking about this the other day…how I could do this with my fabrics! ______ YAY! ______ Total dream come true for me! Being part of the beta testing group, and living in Australia, I so wanted to order some wallpaper to see the quality of the paper and prints. Unfortunately time didn’t allow me to and it takes quite a while to get here, even with the higher cost of Fedex transport. Nevertheless, I’ve been waiting for you to launch…Congrats. It’s such an opportunity for indie designers to have another medium for our creative outlets. And that you ‘promote’ us with the SF Marketplace. I know there are naysayers on the forums about glitches and postage and outages etc etc, and sometimes I’m with them, but you still provide a unique offering to us, and I thank you for that. Wow! I’ve been wanting one of these for ages but couldn’t afford one. I live in a rented house and can’t hang pictures, so I would use decals to brighten my home. These wall decal is great. I always like it. Wallpaper can convey the feeling of being inspired within every corner of your home especially in living room, dining room and bedroom. What more if you partnered with great inspirational and motivational wall art décor which may be found at http://nellybloom.com? HI Nelly Bloom! In my opinion wallpaper and wall stickers are the smartest and the most effective way to decorate home and offices, etc. Hi, Uju Obi ! I agreed It looks great! I love vinyl stickers and having the ability to change the way a room looks!